On Wednesday, July 2, I attended MasterLab. This day of advocacy by Diabetes Hands Foundation occurred at the Friends for Life convention in Orlando, FL. One of the sessions was called, "Making a Successful Ask" with David Lee Strasberg. In this session we were challenged to work on asking others for funding or assistance related to a cause. It is important to build relationships with the people or companies which will help when you go to ask for funding for your cause. Share your story and build upon a common mission. Express your vision which should not be more than a sentence. “I want to see a world where....” or “I want to be in a world where...” are good starting points. The overall ask, especially if it will be repeated to several people, should not take more than a minute. We were told to think about what we would want to ask others, practice it, then get out there an ask. Find a way for others to help and take action, too. 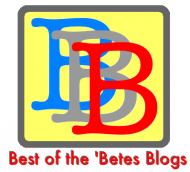 By finding your way to my blog, you are aware that I am a person living with Type 2 diabetes. Every day I deal with trying to educate people who have been given misinformation about this disease. Every day I deal with the stereotypes of Type 2 diabetes. I dream of the day when I can say "I have Type 2 diabetes" and I'm looked at with compassion instead of blame. My goal is to work toward educating others about Type 2 diabetes. This starts with better educating myself and those closest to me then progressing to the diabetes community as a whole - Type 1, Type 2, Type 3, gestational, etc. It is through educating ourselves that we can then educate others. One way I plan to educate myself and others is through the resources of the American Diabetes Association. The ADA was the organization I went to when I was first diagnosed with gestational diabetes over 21 years ago. They are the ones I went to when I was diagnosed with Type 2 diabetes six years ago. As a way to say "thank you" and continue to educate others using the resources of the ADA, I am asking each of you reading this today to sponsor me whatever amount you can afford or care to donate toward the American Diabetes Association's Step Out: Walk to Stop Diabetes. Through your donation, you are helping further the mission of the ADA in providing education and support. Although I might not be able to make it to the actual walk due to my graduate school schedule in the fall, I still plan on raising as much money as I can to give back to this organization that helped me when I was scared and overwhelmed. Would you please make a donation? You can find my donation page here. Disclaimer: I was offered a scholarship by the Diabetes Hands Foundation as part of my participation in the Diabetes Advocates program to attend the MasterLab. My conference fee, travel, and hotel were covered by the scholarship, but the opinions and ideas I will report on are my own.